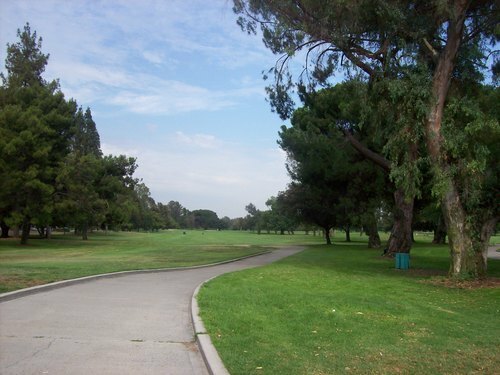 I wanted to get caught up on the round I played Friday at Whittier Narrows Golf Course in Rosemead. 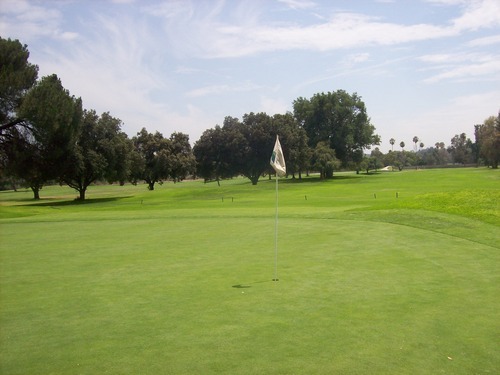 Though not the most exciting round I’ll ever play, I want to review every course I play in case somebody someday might find it helpful. 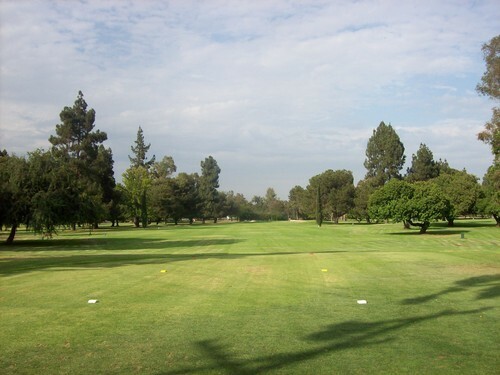 Actually, Whittier Narrows is not that bad. In fact, it was more enjoyable on every level than I expected it to be. I did have very low expectations coming, so keep in mind that’s a relative statement. Still, I found it to be a solid muni-level option. I took a half-day off of work and headed up to the course. I found a great deal on ezlinks.com for only $23 (cart included) at 12:45. I also had a 10% off promo code I applied, which basically just covered the additional booking fee. 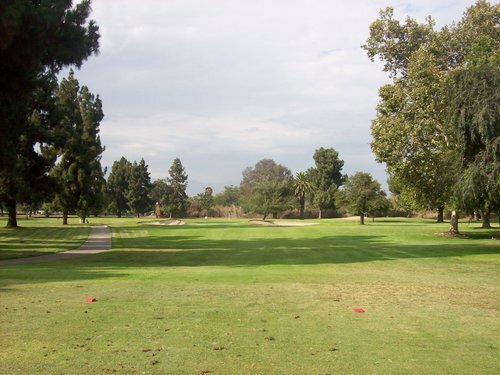 There are three nines at Whittier Narrows. 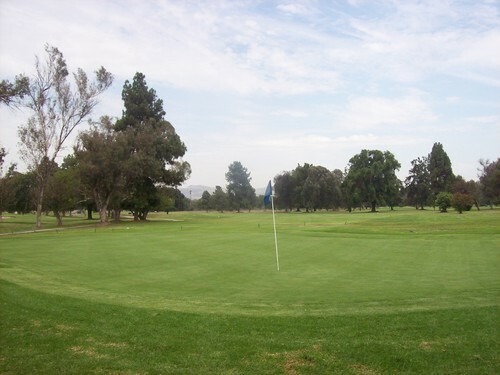 I played the main River/Pine combination, but ended up playing the Mountain nine afterward because it was there, it wasn’t busy and it was cheap—just $8.25 for a “replay” nine holes with the cart. With the weird, muggy Florida-like weather we had in Southern California yesterday, it seemed to scare some of the usual crowds away. 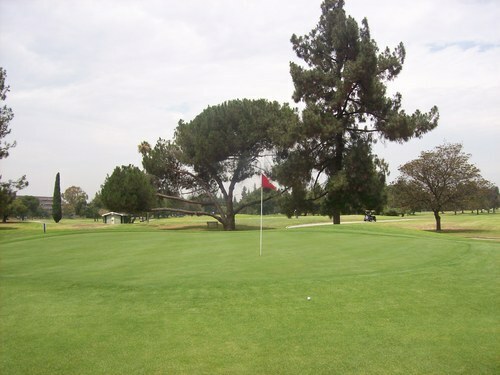 I wasn’t anticipating a quick round, so I was pleasantly surprised to see the first tee wide open when I got there. I went off a few minutes early by myself and it was smooth sailing until I got to the 7th tee. That’s where I ran into everyone. I joined up with a single ahead of me and it was very slow going after that. There were five(!) groups waiting on the 10th tee (#1 on Pine, which is a short par-3 and a poor design choice at the turn of a busy course) and we picked up another single who caught up to us while we waited. Luckily, nobody really came up behind us all day. We always had to wait on the groups ahead of us, but never felt as “rushed” ourselves when it was finally our turn to hit. 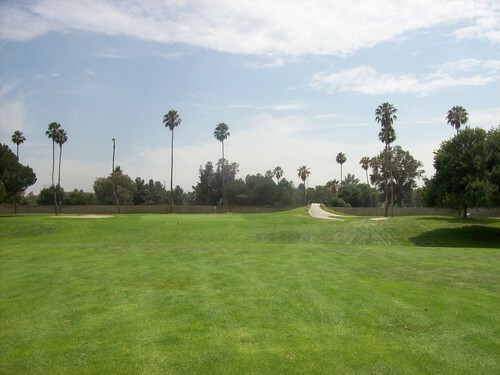 All-told, the round was still under 4.5 hours, which isn’t too shabby on an LA County course like this. I was able to zip around on my bonus nine on the Mountain course immediately afterward. 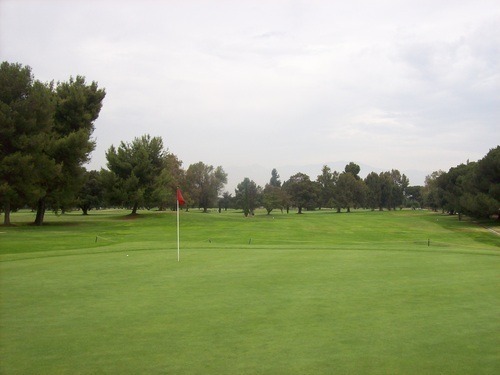 I felt glad to fit that one in so I can officially say I played the “full” course offering at Whittier Narrows. Even though it was more enjoyable than expected, I still won’t be in any huge rush to come back. 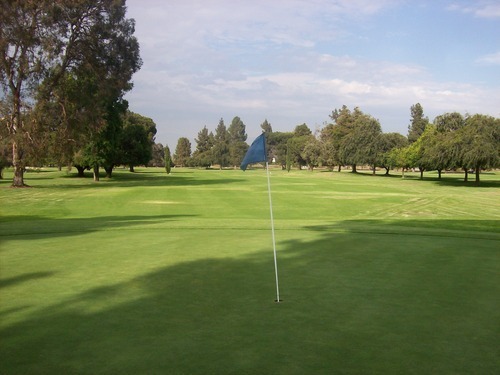 As the name would NOT suggest, this course is anything but “narrow.” In fact, it’s one of the more straightforward and wide open tracks you’ll find. 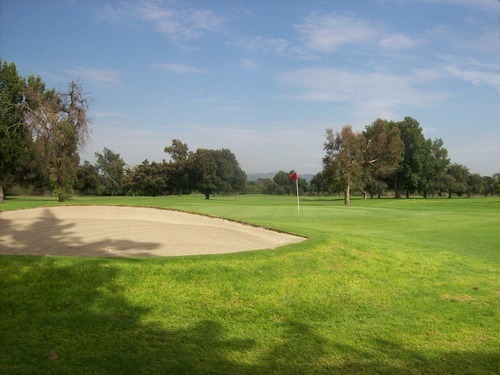 There are not many major doglegs and what you see is what you get from tee to green. 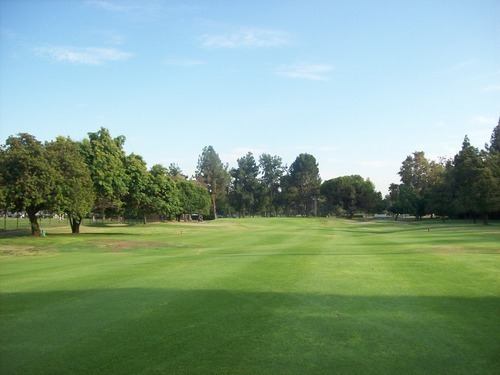 Although the landscape is very flat, the fairways do have a lot of humps and bumps. Flat lies are few and far between. It’s trickier than it looks at times. 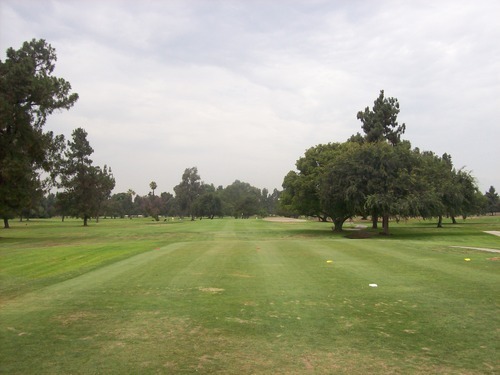 The primary challenge of Whittier Narrows comes in the form of length—accentuated greatly by the thick, sticky kikuyu grass here that’s thriving in the summer months and prevents much roll-out on drives and long approaches. 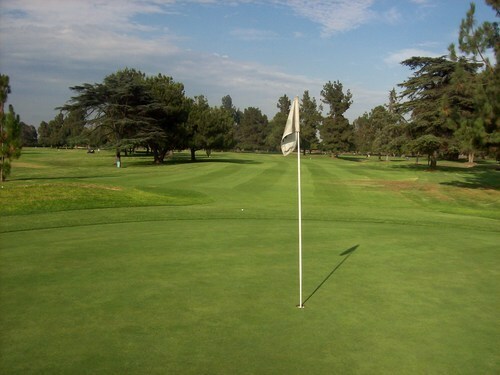 If you land short of a green here right now, your ball likely won’t make it to the putting surface. 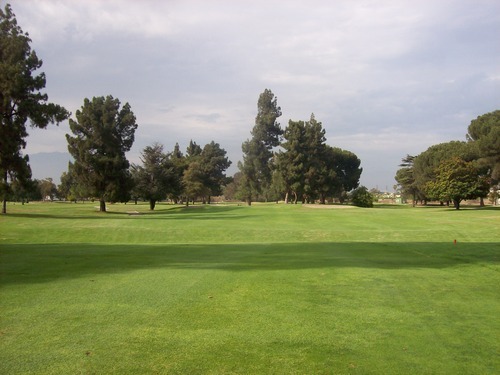 From the blue tees, the River/Pine combo plays at 6,824 yards. Even though you are free to “grip it and rip it” on every tee, it still plays long. There are white and gold forward tees here, but the yardage differences are not significant enough on any hole, so it didn’t appear to be any real advantage for playing up. The whites are 6,638 yards and the golds are 6,424, so it works out to 5-15 yards in between each set of tees on the grouped tee boxes. They were always right next to one another, so it seemed rather pointless to have this set up on each and every hole. The Mountain nine plays significantly shorter, but its total yardage of 2,713 from the blues is skewed by the fact there are three par-3 holes and two short par-5s (one is 459 and the other is only 405). 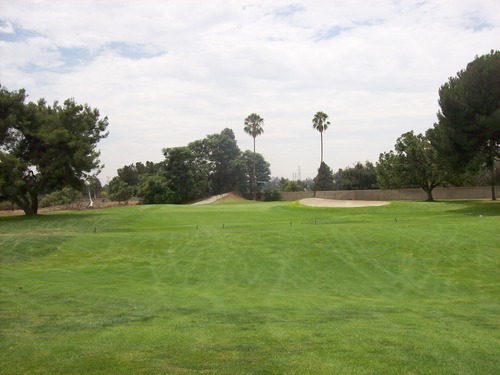 Otherwise, the par-3s and par-4s on this nine offer a pretty traditional mix of lengths. 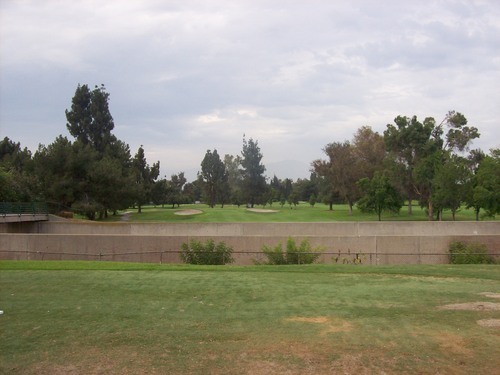 Overall, I actually found the Mountain course to be the most interesting layout with some tighter angles on the fairways and tiny greens that required precision approaches to hold. I would argue it was in the best shape of the three nines, as well. That said, I found the entire place to be in very good shape. As mentioned before, the kikuyu is thriving here this summer. 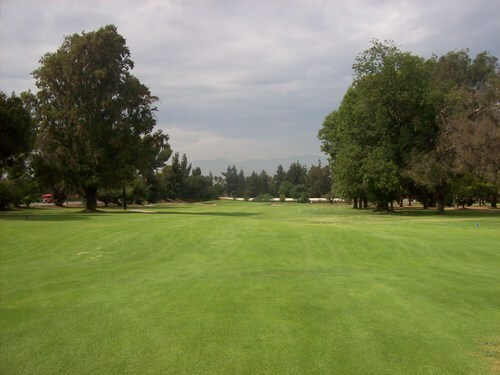 It is green and lush throughout fairways, rough and around the greens. 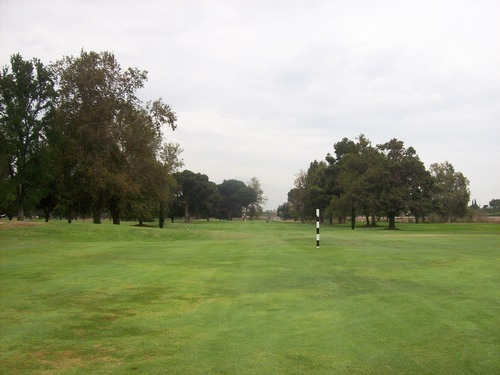 Of course, there are some ugly bare patches scattered throughout, but for a County course I was pretty impressed. The greens were also great. They looked nice and rolled well. The bunkers were a bit thin on sand, but not horrible. 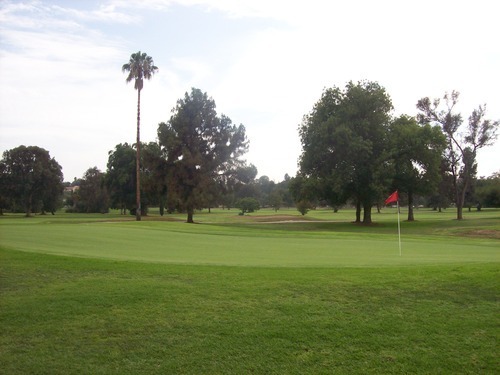 Whittier Narrows is by no means exciting, but it’s a convenient option for most at a very reasonable price. Many people seem to put this place down because it’s a bit too wide open, but the challenges are there just enough to keep things interesting. They are subtle, but there. I do know conditions can fluctuate throughout the year, but right now it’s looking about as good as it can.